In the rural town of Ocumicho, Mexico, art reigns supreme: specifically, droll figurines that capture the rich traditions of the Purépechan, an indigenous people who have been in the western Michoacán region since the 1300s. Imagination and myth are the basis for the subject matter and are combined with scenes of everyday life, religion, and allegories. The results are delightfully surreal works of art depicting sirens, Negritos, and devils doing a variety of things such as driving, bicycling, or dancing. 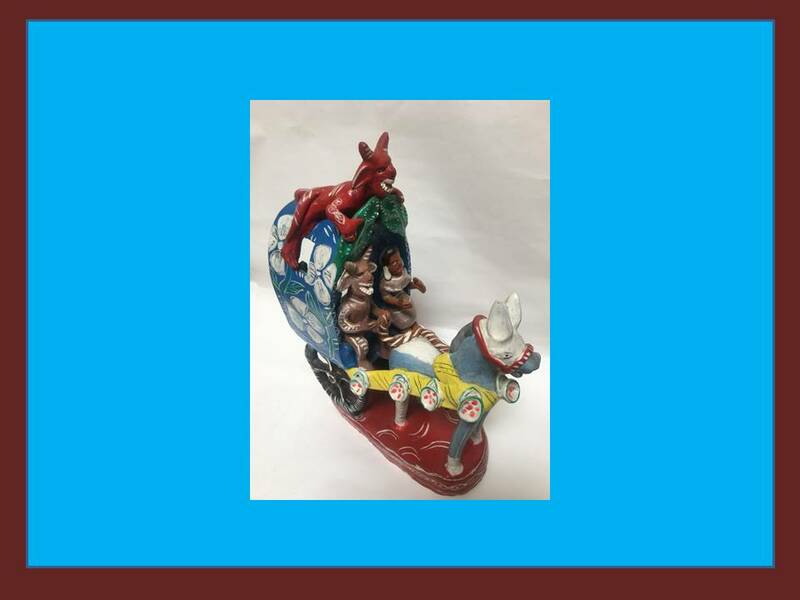 Santa Barbarans can take a peek at some of the creations, which are made of clay and typically by women, at Casa Dolores’s exhibit Whimsical Tales of Ocumicho. There is an opening reception for Friday, April 19, 2-4 p.m., at Casa Dolores (1023 Bath St.). The show runs through July 30. Call 963-1032 or see casadolores.org.